Keeping a First Aid Kit in your car this Summer is a good idea for those unexpected times. Just yesterday I realized my kit needed to be replenished! I was at the park with my kids and for some reason that tends to lead us into scraped knees and elbows easily, especially when we are riding bikes! This First Aid Kit includes bandages, Vaseline, cotton balls, hydrogen peroxide, bandaging tape, antibiotic ointment, and cleansing wipes. I put many of the First Aid Kit items into travel size containers so they will fit into the zippered bag. This will easily fit in my car! I love to be prepared and organized. 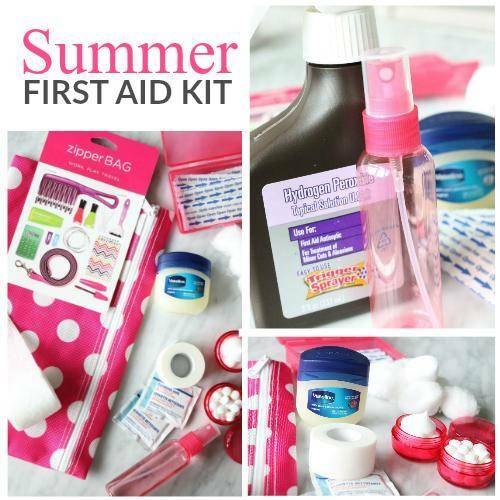 It wouldn’t take but just a few minutes to put a Summer First Aid Kit together like I have. Plus, when you purchase your own items rather than buying a kit pre-assembled you will save money overall. You can keep any of the extra items at home or just use them to replenish your kit! Also, when you purchase Vaseline products at Walmart, you will be supporting Direct Relief. To see how you can help make a difference, click below. I’m going to make a second First Aid Kit for my toiletry bag that I travel with. When we go on trips with my family I am often times digging to find all our First Aid Items to put in our Toiletry Bag, but it would be so nice to just grab this extra set and throw it in my luggage! What other ideas do you have for a First Aid Kit? Be sure to check out more of my DIY ideas! 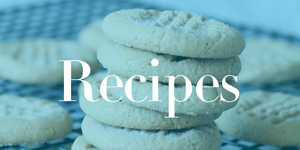 Disclosure: This post is sponsored by Lunchbox, LLC. All opinions are my own.